We started off trying to find a few free and easy things to do in 2016 and, so far, we have previewed four with this being the fifth. 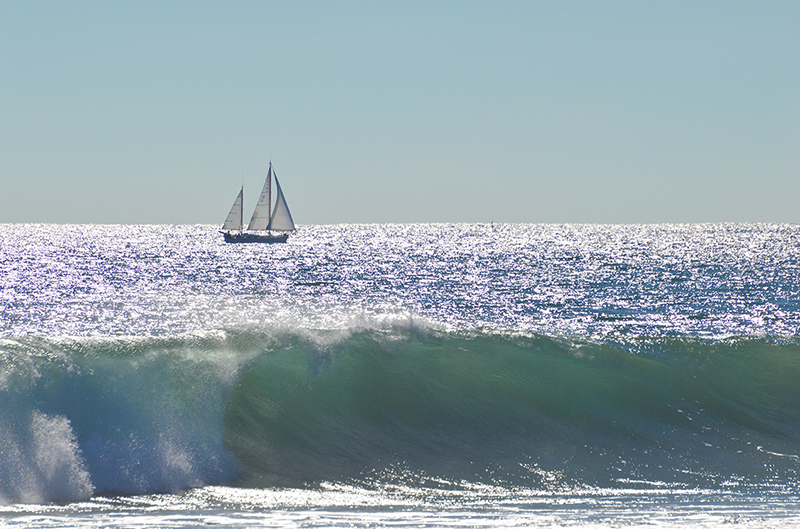 From sunsets, to piers, to lighthouses, and harbors, this week we take you to the beach. When I was a teenager I surfed every day in the summer. Back in the late 60’s and early 70’s there weren’t that many girl surfers so when I walked out to the waves; I got a lot of stares. People were curious about this young girl with a towel in one hand and a surfboard in the other. I am sure they were wondering if I was actually going to surf or if I was carrying it to someone. Little did they know that at that time, surfing and going to the beach was a big part of my life. It wasn’t until many, many years later that the old bones didn’t feel like working that hard and as a result, just swimming in the water would now become my preferred activity. However, I was still at the beach!! 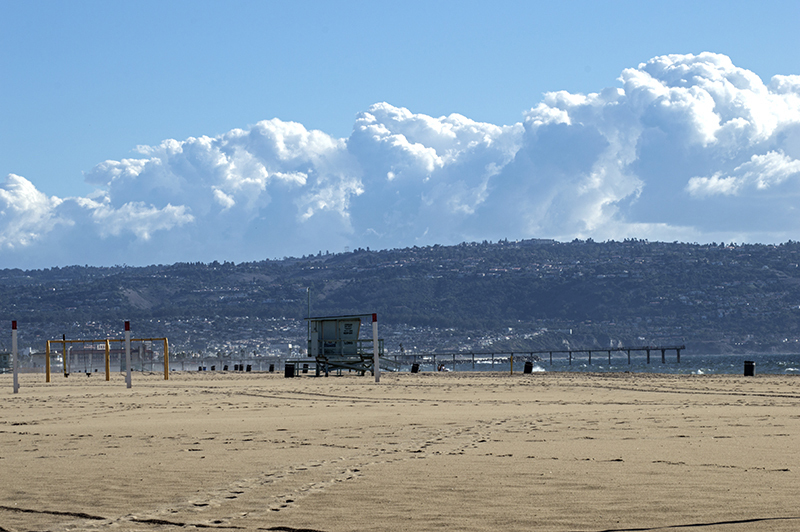 California’s whole west side is home to the Pacific Ocean. 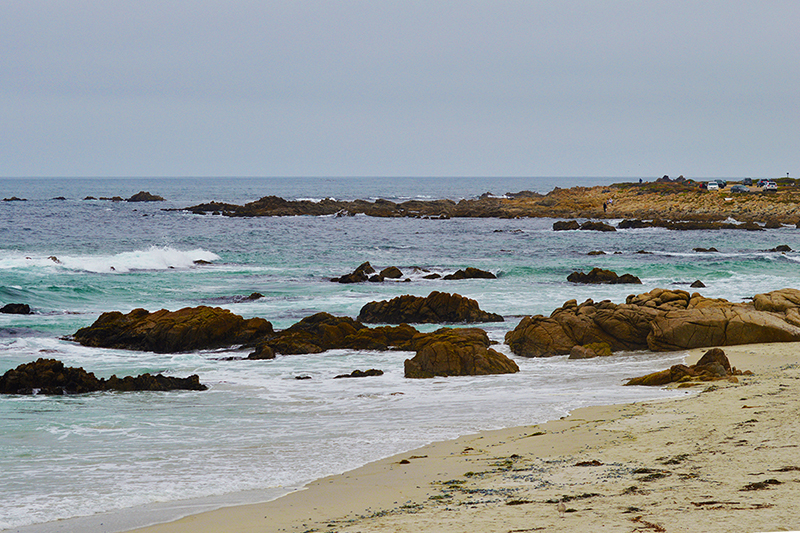 Every type of beach adorns the coastline, from rocky shores, to cliffs, to sandy beaches, and national reserves. 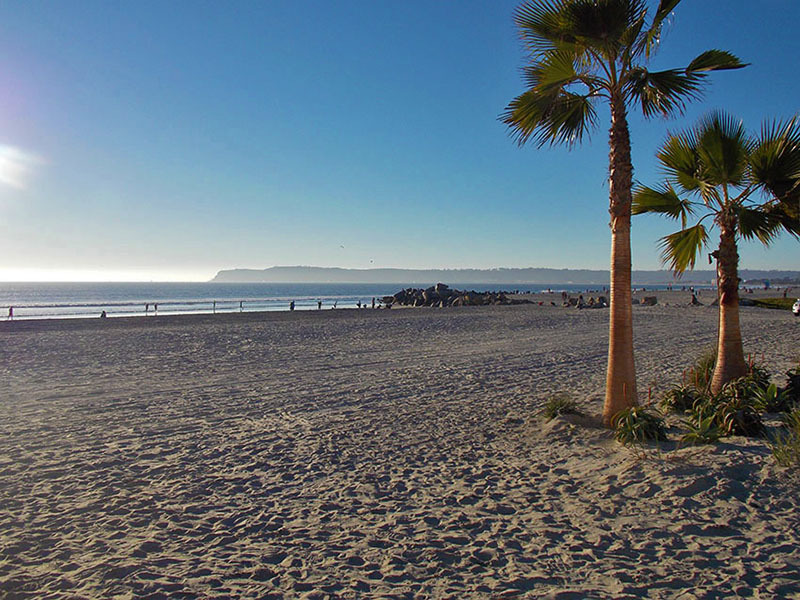 Coronado Beach was named in the top 10 of California beaches. 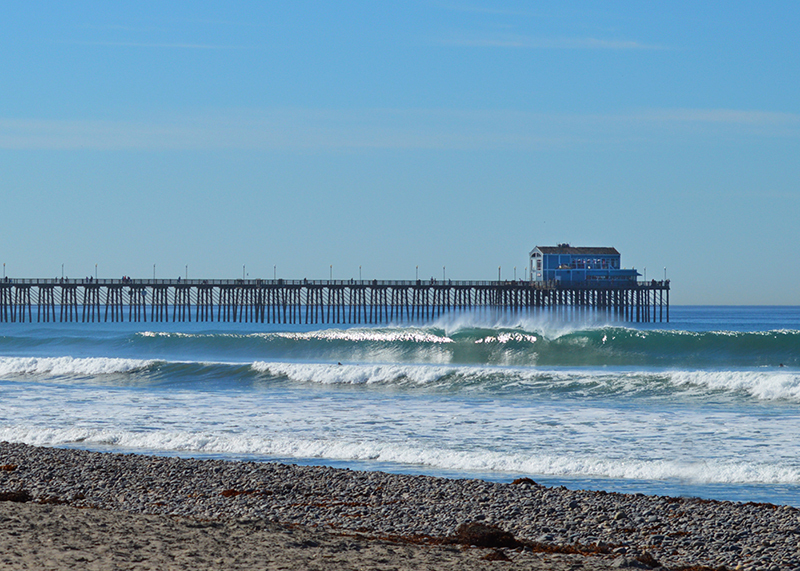 A crispy fall day in southern California. 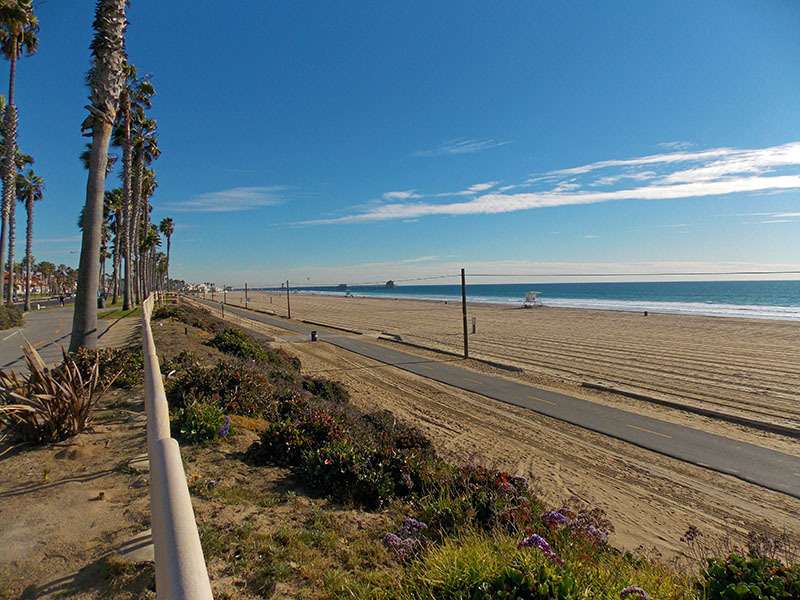 With one side of California graced by the Pacific Ocean, going to the beach is a daily activity for some. I tried to get to the coast every chance I could get in my surfing days and still do. 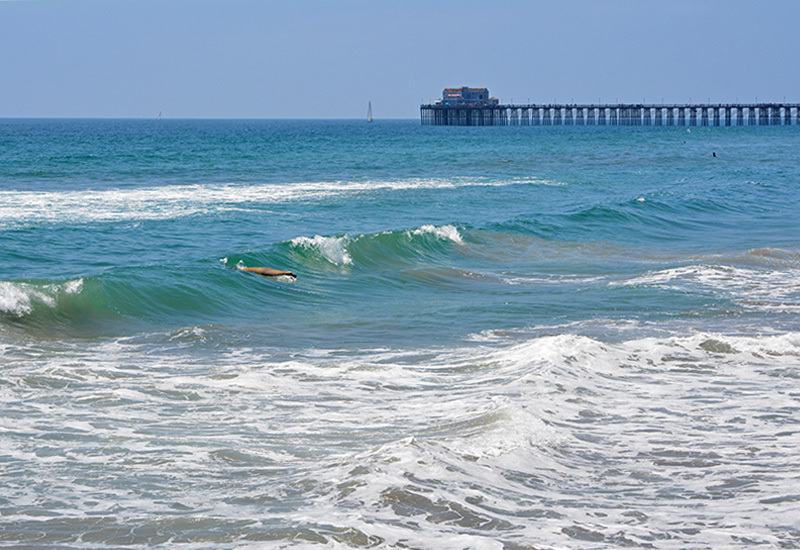 For others it could be a fifteen minute drive, or an hour, or even more if you live deep into the inland of California. Even at that, a weekend at the beach can do wonders for your soul. 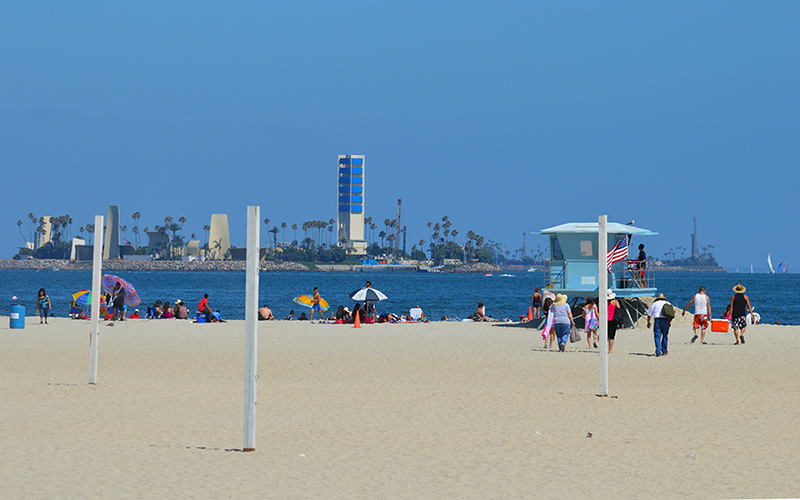 Hundreds of thousands of people visit these Los Angeles Beaches in the South Bay in the summer. No crowds on this fall day right after a rain. When you visit the beach, get those sweaty shoes off and dip your feet in the water and feel the sand between your toes. Even if you don’t go fully into the water, at least do that. Although it can get quite chilly in the winter, it still feels good to let the salty water soothe those tired feet. There are no waves here in Long Beach because of the breakwater. The first thing you notice about the beach is the wonderful scent of the ocean itself. Even from a few miles away, you can get your first hint of that fresh salty air if the wind is blowing just right. Besides the aroma of the salt air, the fragrance of sunscreen is everywhere from Bain De Soleil to Coppertone. In the distance you can hear seagulls calling out and there is nothing like the calming sound of the waves rolling on to the shore. Bring a book, a chair, a towel, then simply sit back and relax. The view from your beach chair. 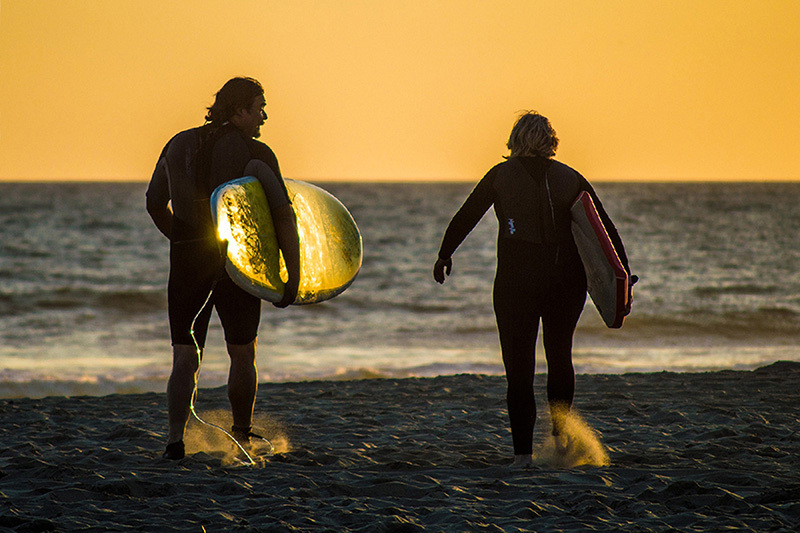 The activities at the beach are also endless, from football on the sand, to Frisbee throwing, surfing, bodyboarding, stand up paddling, bodysurfing, kite surfing, and even sand castle building. 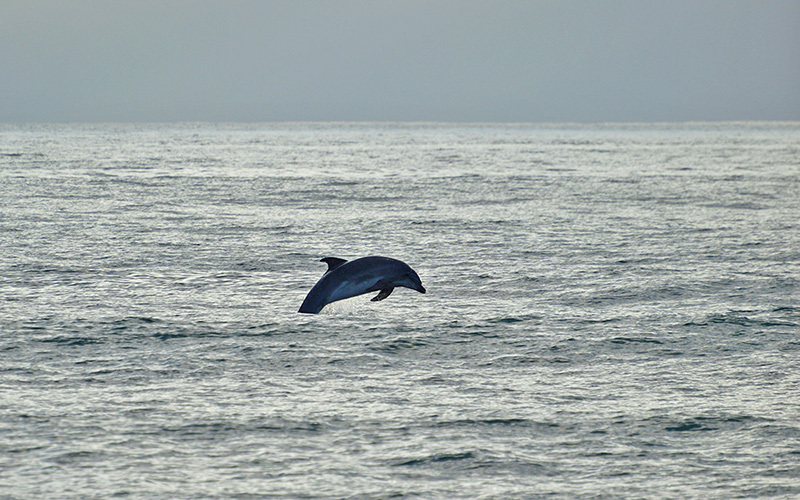 Bring your camera for photo ops because pods of dolphins are frequent guests along the shore. On special occasions you can see them riding the waves or jumping out of the water. Once instead of a dolphin riding a wave, I was amazed to see a seal actually bodysurfing. 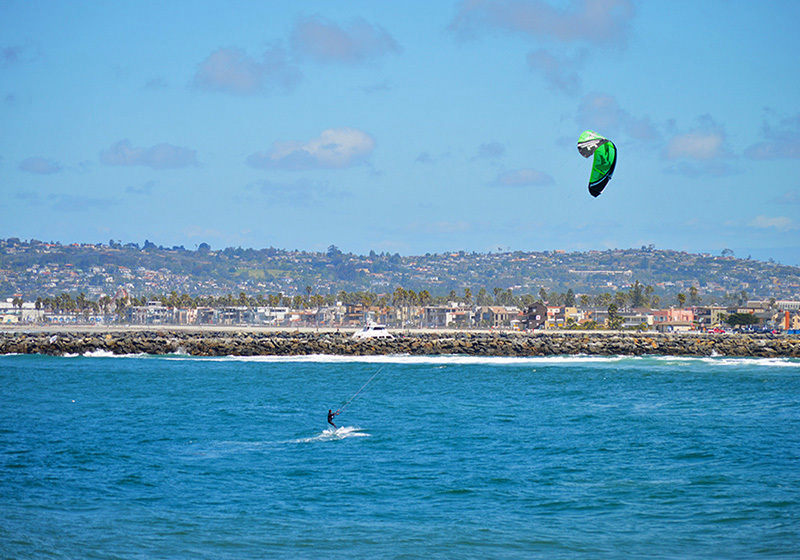 You will see whales, flocks of pelicans, boats, waves, and much, much more. On any given day, dolphins play in the surf. The beach has it all, and except for parking and gas, it is all free!!!! 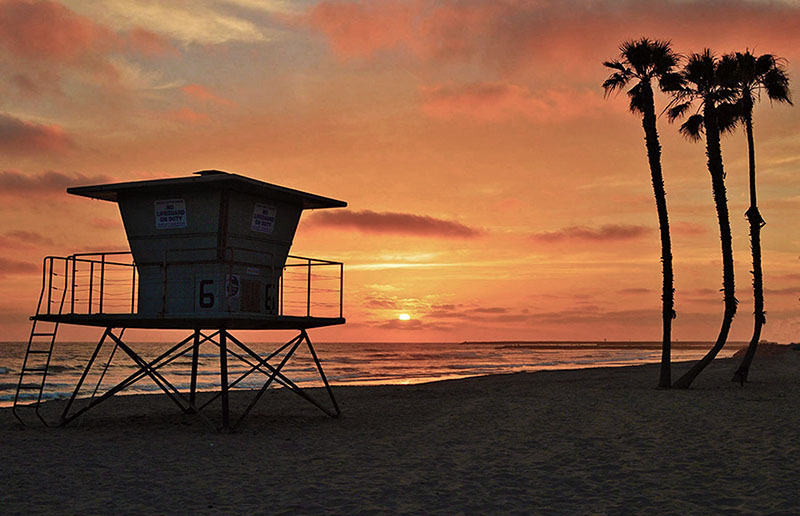 If you stay long enough, your day will end with a vibrant and colorful California sunset. You can’t beat the beach; in fact I am going there right now. 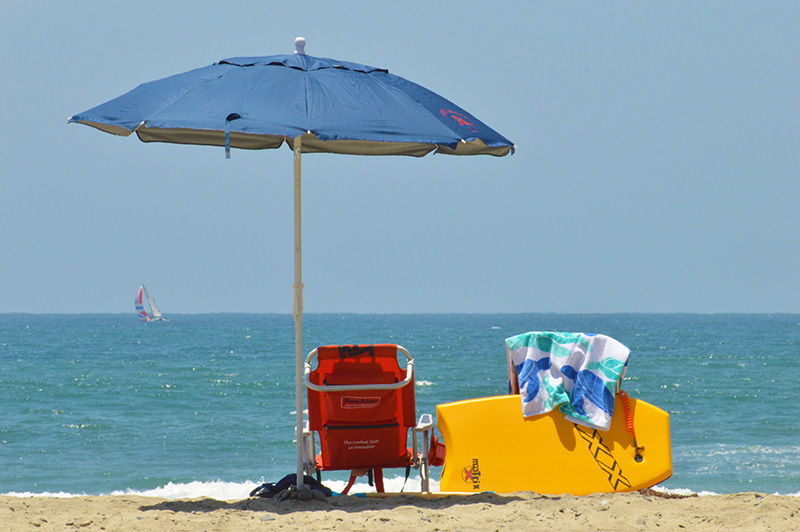 This time the towel is still in one hand but the surfboard has long been replaced by an oversized colorful umbrella and a beach chair. I think I am safe from the stares. I couldn’t be happier. 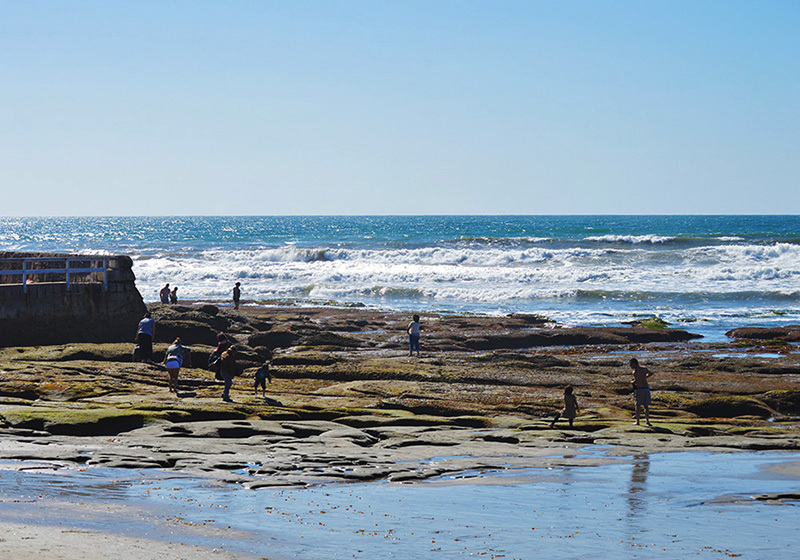 Don’t forget the tide pools. Here they are at the Ocean Beach Pier. 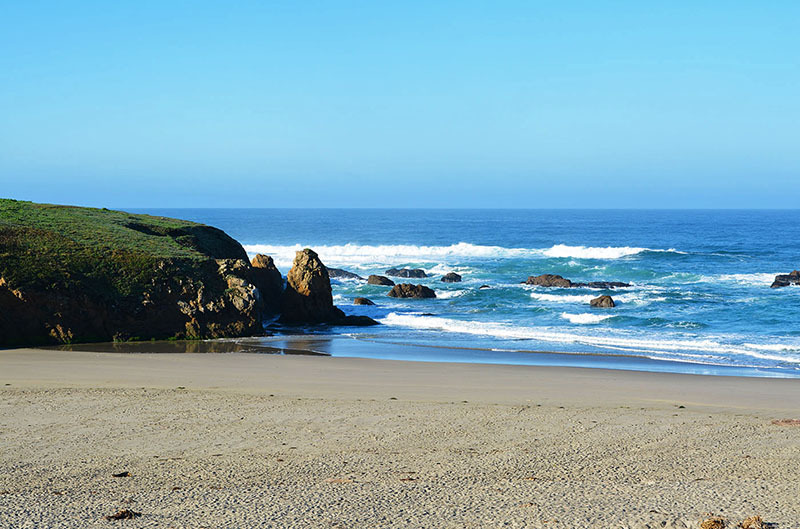 An empty beach in Fort Bragg, California. 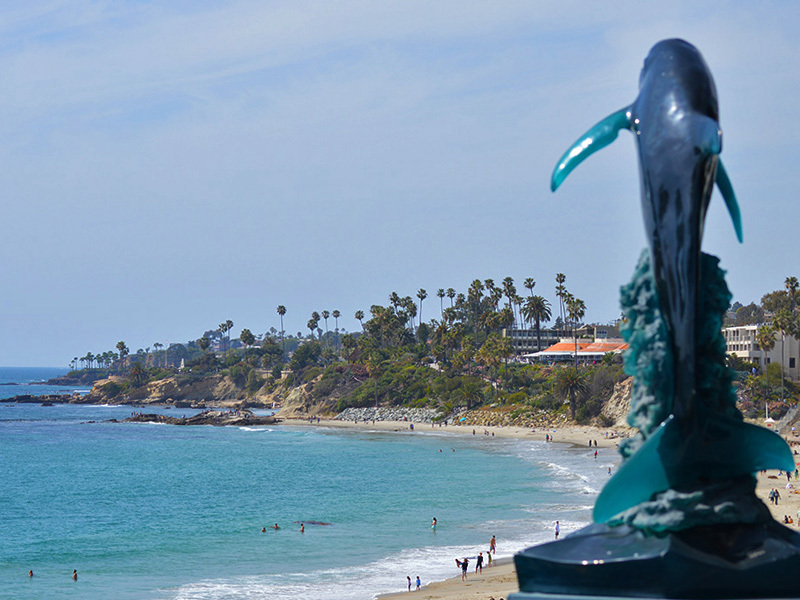 The view from the Wyland Gallery in Laguna Beach. 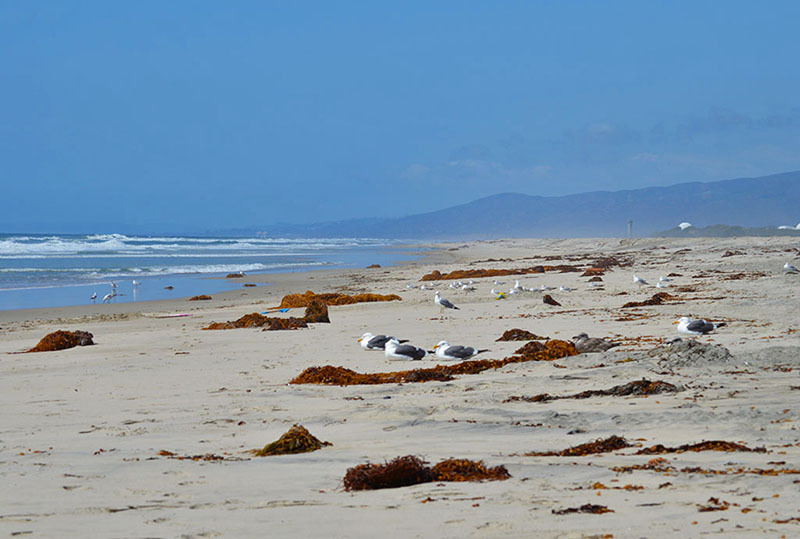 A beautiful empty beach at Del Mar Beach, Camp Pendleton. Don’t let it fool you, just beyond is restricted military land.